Our next column entitled “Yessssss!” follows directly. But this week we also wanted to make you aware of a parallel column we are now writing each week for business owners and managers responsible for recruiting, training and deploying salespeople. 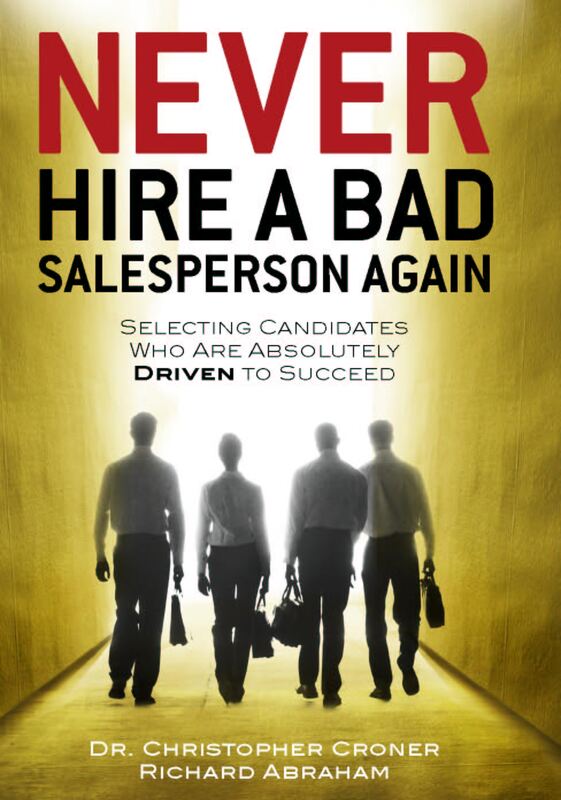 It is co-written by our chief psychologist Dr. Christopher Croner and focuses on assessment and interviewing research and techniques, as well as some of the deeper psychology behind the selection and development of successful salespeople. If you are interested, click here to check it out and to sign up if you are so inclined. Now . . . Back to the Art & Science of Selling Through Relationships! Every meeting and every phone call you make to a prospect must end with a call to action or you have virtually wasted the call. Remember, in this case we are talking about prospects, not current clients, so this requires a different mindset . . . one designed to advance the relationship toward the first transaction, and that means being proactive and focused. A call to action doesn’t necessarily mean asking for the order; in fact doing so too soon can set things back. A call to action is defined here as a distinct request on our part to which the prospect must give us a yes or no answer, therefore we should design the question so it is an easy, no risk/energy “yes.” Here is an example. What is the point here? There is some compelling research that tells us that it is very important to begin to condition our prospects to get used to saying the word “yes” as they develop their relationships with us. Remember, when we first meet the prospect in a selling scenario, defense is the name of their game . . . they are wired as human beings to be careful and to protect themselves. Their operative word until we establish trust is “no.” We need to start re-conditioning that attitude through a series of opportunities to invoke a “yes” several times along the communications continuum, so when the time comes for the buyer to make a commitment, the “Y word” feels like a natural part of the conversation. Seem like a stretch? Check this out. Psychologists asked people in two neighborhoods to place large, “Slow Down for Children” signs on their front lawns. They appealed to the first group by presenting a huge sign first, and the results were mediocre. They appealed to the second group by asking them to present a small sign first (yes), then a medium one (yes), then the big one. The results were almost universally compliant as people had gotten used to the concept and to saying “yes” to the easier requests along the way. The moral of the story is that there is compelling evidence that a series of little yeses pave the way to the big yes, so it should be our goal as salespeople to end each call or meeting by giving our prospects the opportunity to use our favorite word. Yessssss!